Pack your bucket, spade and hiking boots; in this sun-streaked post we are off to Spain for a family fun in Spain. But not the Spain you undoubtedly know. Because there’s much more to the country than the well-trodden holiday resorts and headline-grabbing cities. 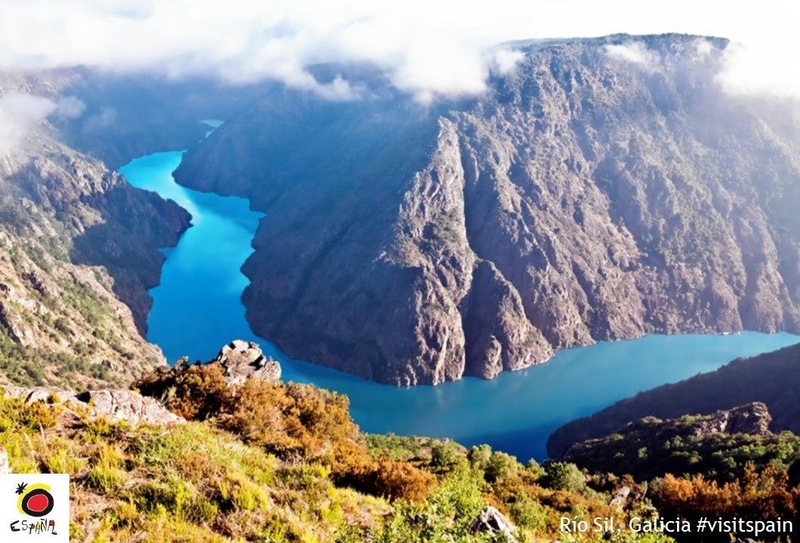 From mountain to coast, The Family Adventure Project’s Kirstie Pelling highlights 5 of her favourite action-packed family destinations in this post, part of a sponsored paid project with Spain. Spain’s sun-blessed mesetas, wild coastlines and hairpin-studded peaks make it a mecca for adventure. Even the holiday resorts that are often seen as a cliché can offer outdoor activities you might not have thought of. We began exploring Spain as a family with very young kids and our eldest is now an adult. And we have never grown tired of adventuring and never run out of options for something fun to do. Our first extended break in Spain came when the boys were in primary school and our daughter was a baby. We spent a summer biking the Camino Santiago and camping out under the stars. We pulled our one-year-old behind us in a trailer, sheltering her from the hot sun with a makeshift windscreen. Ten years later she found herself crossing the Pyrenees on her own touring bike on an adventure from coast to coast. In between we have skied, swum and ridden in many regions, often returning to Catalonia, where we feel most at home. Spain is the perfect destination for an active family; families valued and celebrated, no one is worried about bad behavior at mealtimes and dinner is late and often on the noisy side. There’s also loads to do, and it tends to be cheaper than having a family adventure in the French, Austrian or Swiss Alps. 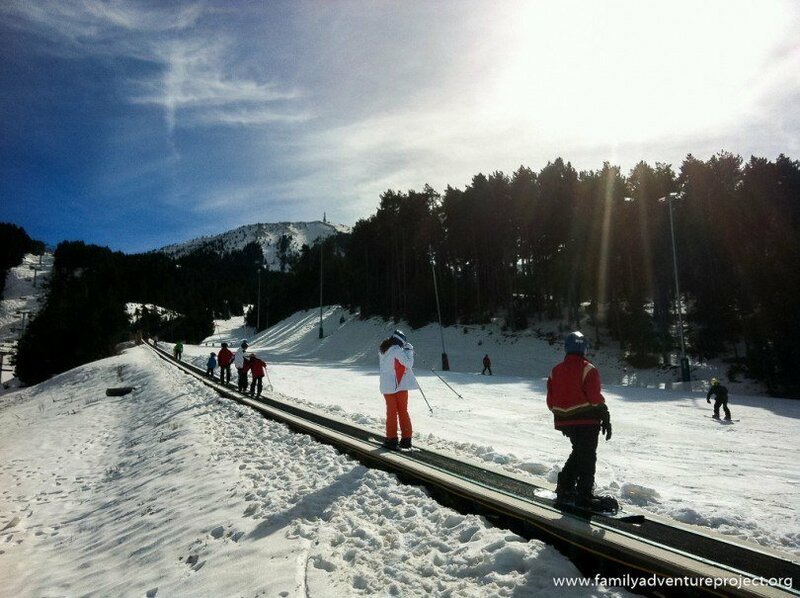 Here are five suggestions for active family fun in Spain. The Vies Verdes is a network of mostly flat rail trails that used to link up Catalan towns and villages with Girona. The name literally means Green Ways and cyclists and walkers can travel over two and a half thousand kilometres on different routes. We biked from Ripoll to Palafrugell over a week and found it a nature-filled and gentle experience, with lots of playground and picnic stops, and some great tunnels to whizz through. It’s also packed with families having fun; the only traffic you need to watch out for is the family of 5 cyclists coming at you around a bend! 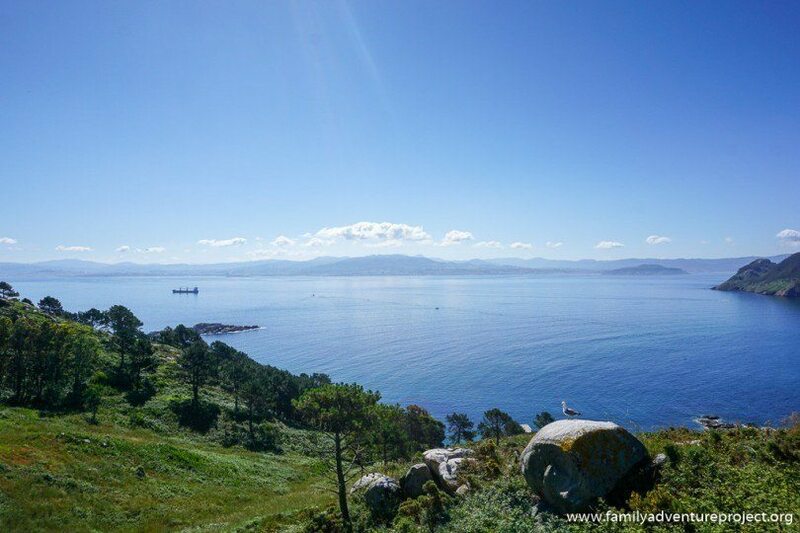 If you only have a short amount of time or young kids we recommend the route of the little train, from Palamós to the coast, studded with pretty stations and train features to while away the hours. Costa Barcelona provides lots of nature activities within an hour or two from the city itself. Two of the most fun ways to get around are by donkey and segway, and both gave us a peaceful, traffic free experience. Our Segway riding took place on the Els 3 Monts trail which connects the natural parks of Barcelona by a special signposted itinerary divided into six stages. If you have teen kids they will likely pick up the Segway immediately and delight in going over rocks and tree routes. I preferred the quiet march of the mules from Rucs Del Corredor Donkey Preservation Centre. 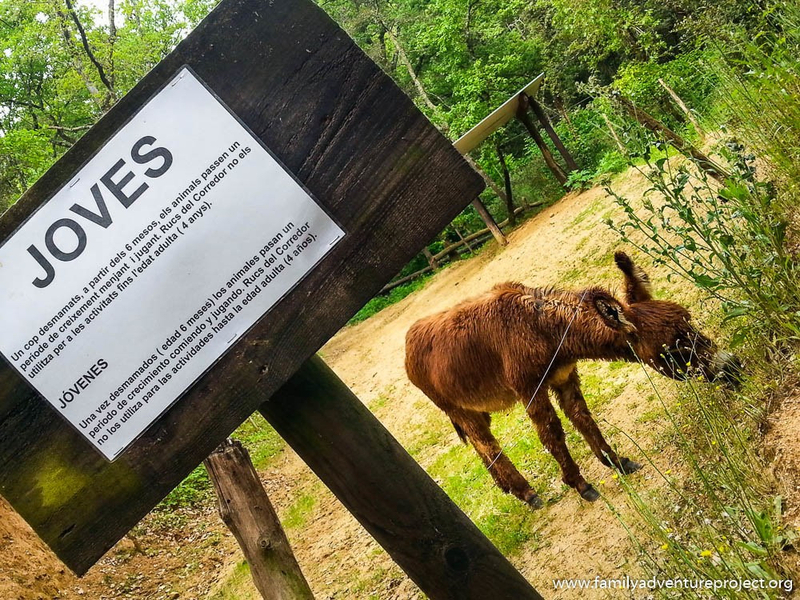 Just under 50km north west of Barcelona, it’s a great day trip from the city for families, offering riding for all ages on Catalan donkeys in Parc del Rukimon in the Canyamars Valley. 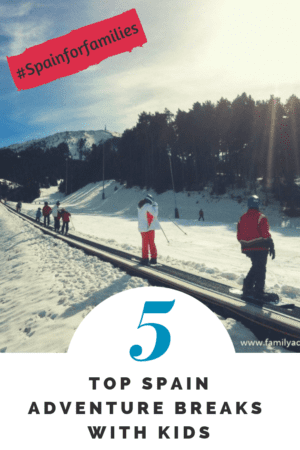 You might associate Spain with sun rather than snow, but there’s a pocket full of family ski resorts high in La Cerdanya in the Pyrenees that offer some great family skiing. Base yourself at La Molina for exhilarating downhill, and take a ride in a late night piste basher to see the mountain empty of people and being put to bed for the night, There is no rest in Masella where we went night skiing; on certain nights the vibe is party and the colours are strictly neon. In contrast you might get the Nordic trail of Guils Fontanera to yourself. Carve out your own path in the fresh snow. In the family resort of Val de Nuria kids rule the slopes and there’s hardly a metre that isn’t dedicated to family fun. Grab a tyre and start a race! There are many ways to ascend the volcano that dominates the landscape in Tenerife. You can do anything from a daylong hike of Teide, staying at the top of the mountain, to a quick ascent via the cable car with a gentle amble around at the top. Be sure to check about permits before you go up. My favourite way to see the mountain is a Sunset and Stars tour, where you travel most of the way by cable car and ascend the last part at the end the day. Watching the islands float in a cloud of ocean while the moon appeared behind us was one of the best ways to experience dusk. But the treat didn’t end there. I gasped when I saw the crystal moon up close through a telescope. Exhausted yet? You will be. But in a good way. Check out Spain’s tourism website or leave a comment and tell us about your favourite family fun times in Spain. 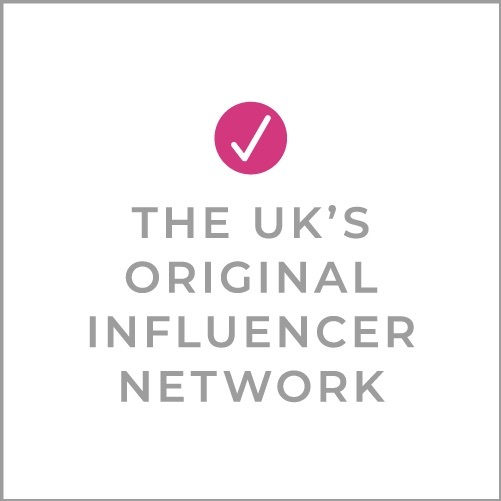 Disclosure: This post is part of a paid project with Spain, promoting family travel across the country. All opinions are the author’s own. What fantastic ideas you’ve featured here! We’d love to go donkey riding in Costa Barcelona and Star gazing in Tenerife. I think skiing would be the one for us. I forgot about skiing in Spain! I love how it can be a completely year round place to visit- plus a short flight time too! I want to go now … star gazing, donkey riding and night skiing please. These all sound like a lot of fun. I’d love to explore the Green Way cycle tracks, and also go to the donkey sanctuary.